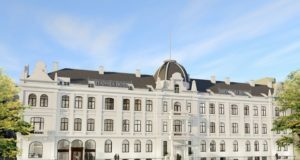 Scandic Hotels is adjusting its earnings downward for the fourth quarter compared to last year, to a preliminary figure of around SEK 330 million (€33.5 million) from SEK 392 million in the fourth quarter of 2016. Although its EBITDA for the quarter last year amounted was adjusted for a one-off gain of SEK 65 million, Scandic explains the deviation this year by “lower earnings in the Swedish operations and one-time costs for central functions”. 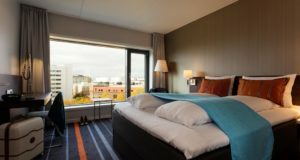 Earnings development in the rest of Scandinavia and Europe remained positive during the quarter, the hotel company said. 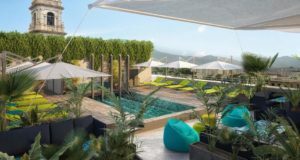 Scandic estimates that adjusted EBITDA for the Swedish operations will be about SEK 200 million for the fourth quarter, compared to SEK 264 million in the fourth quarter of the previous year, adjusted for the SEK 65 million one-off gain. The decline in earnings is mainly attributable to operations in Stockholm, Scandic said, where “the market was weak in the quarter and costs were not fully adjusted in line with the weaker LFL sales development”. 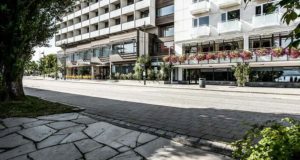 Adjusted EBITDA for Scandic Hotels’ central functions is estimated to amount to approximately a loss of SEK 140 million for the fourth quarter compared with a SEK 103 million loss for the same period in 2016. This variation is mainly due to a number of one-time items. The result includes, among other things, costs for Scandic’s long-term incentive programs and other non-recurring personnel costs. 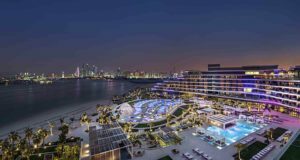 The biggest hotel company in the Nordic region, with 15,000 employees and a network of close to 230 hotels with 45,000 hotel rooms in operation and under development, will publish its year-end report for 2017 on February 20.